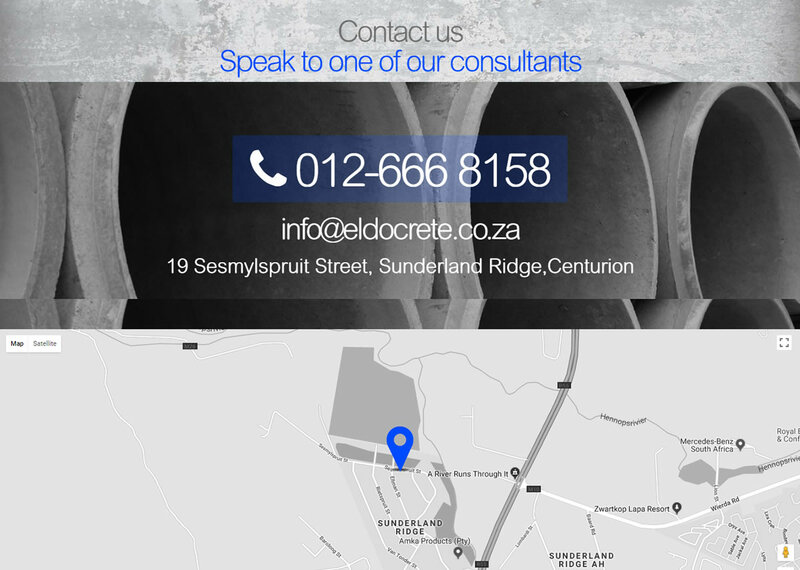 ELDOCRETE (PTY) LTD, with its head office located in the Sunderland Ridge suburb of Centurion, was established in 2004 by Managing Director Werner Viljoen. Under his directorship ELDOCRETE continues to evolve and has grown to become a leading manufacturer and supplier of superior quality pre-cast concrete products in South Africa. 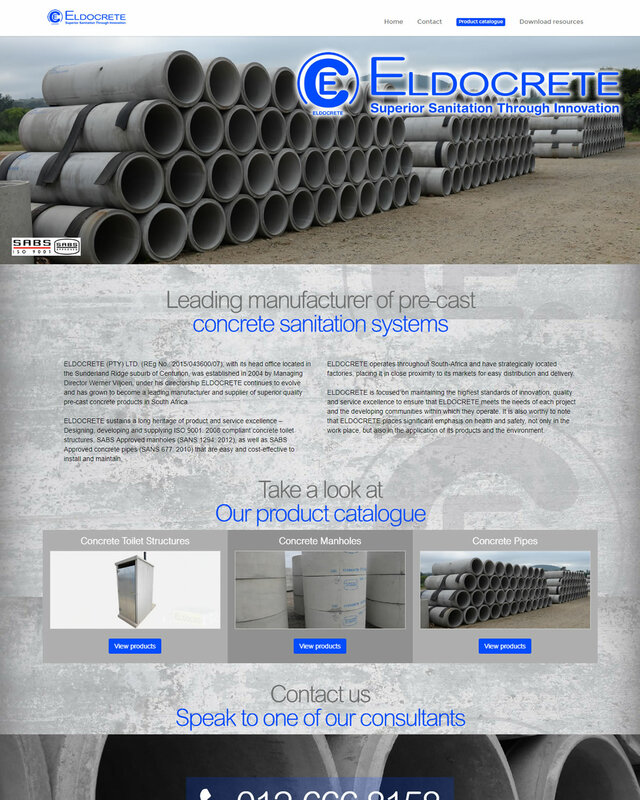 ELDOCRETE contracted SES WEB to develop a new responsive catalogue website according to very specific requirements. SES WEB not only developed and designed the ELDOCRETE website, we also managed various projects involving the photography of their products and revising the logos for ELDOCRETE and ELDOLOO.